You want a stylish shoe rack that will make your friends green with envy but is also green in an I-love-the-planet-kind-of-way. Then this 3 Tier Bamboo Shoe Rack Organizer walks into your life and you're thinking, "Beautiful!" Crafted from sustainable bamboo, its spiffy shelves bring an abundance of closet shoe rack ideas with it. Show off your kick lines of satiny pumps or make it an exclusive Boots Only club. And if you want this bamboo shoe shelf to get a few more looks, try placing it in the mud room or promoting its eco-friendly lifestyle in your entryway as a behind the door the shoe rack. 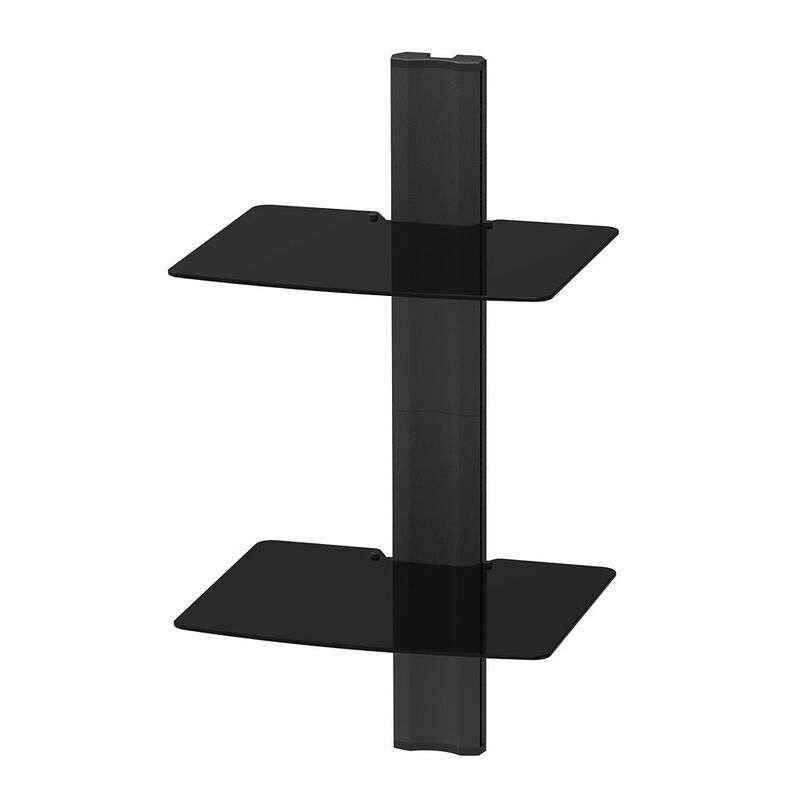 AVT2 Wall Mounted AV Shelves - 2 AVT shelves provide an elegant, small footprint solution to organizing your home theater. Mounted to the wall to save space, their modular design gives you the freedom to add as many as needed to carry your PVR, gaming consoles and other A/V devices. Each unit features a tempered glass shelf that is height adjustable and can support up to 20 pounds. A powder coated aluminum cover is also included to hide your cables, while endcaps ensure a clean and refined appearance. Choose between one, two and three-shelf models to accommodate your needs.